In recent years there has been a rapid expansion in both the diagnostic modalities and management of vascular diseases of the head, neck, brain and spinal cord. This has resulted in new ideas in vascular physiology, pathophysiology, and treatments for arteriovenous malformations, aneurysms, occlusive arterial disease, imaging the cerebral circulation and also in the development of neuroprotective substances. Emerging concepts in neurovascular diseases are multidisciplinary in their approach; where neurology , neurosurgery and neuroradiology have become a significant contributor to that multidisciplinary discussion. The rapidity of technical developments in the various related specialities have resulted in a mismatch between fundamental theoretical knowledge and technical skills. Often theoretical knowledge is only acquired after technical expertise and is evidenced by the concept and description of "the learning curve", which is often prejudicial for patients. Economic, cultural and linguistic differences make it difficult for many Middle east north African countries to gain the theoretical and technical experience from Western countries. The absence of a locally based training and specialized diplomas, selects only those doctors who can afford the long, dispersed and expensive training abroad. The internet and telemedicine projects make information available. However, it cannot be truly educational unless it can be decoded and commented upon. English, as the language of dispersion, is utilised in an impoverished way and results in debasing the level of the message to one of intelligibility. Direct communication with people in a pedagogical framework is a much better way of effectively transmitting and assimilating knowledge. Communication has to be a human face to face process for it to be effective educationally. Multiplication of courses and refreshing sessions without evaluation of the degree of assimilation lowers the level of continuing education to continuous information. The accrediting bodies will have increasing difficulties to assess the efficiency of information bank consulted. Accreditation of continuing education postulates (requires) that a validation of basic knowledge or core knowledge is obtained. 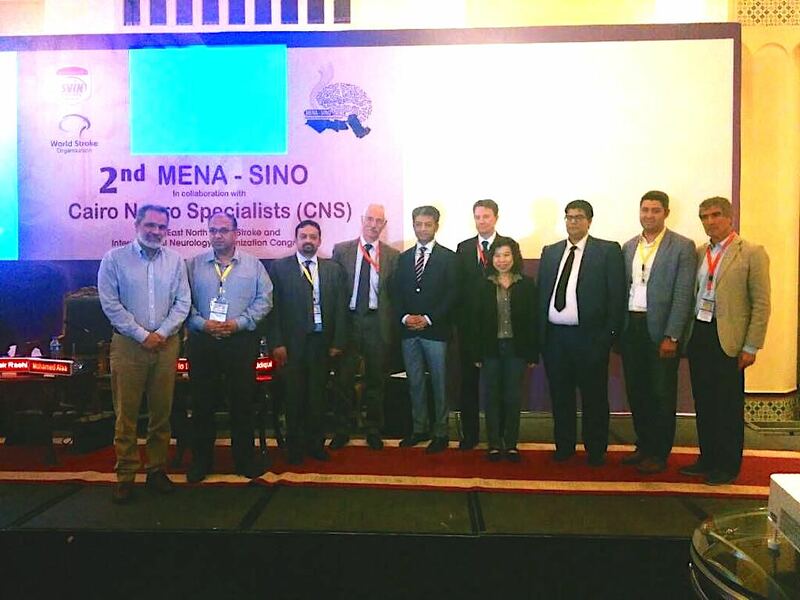 This program has been developed by the MENA-SINO Organization (MENA-SINO) to cover the needs for academic medical specialty training in stroke medicine and neurointerventional therapies throughout MENA region. This Master degree in Stroke Medicine and neurointerventional therapies will focus on all fields of stroke ranging from acute diagnosis and interventions to rehabilitation and principles of neural repair. In addition, an expert research focus is maintained throughout all lectures and seminars, thus covering all aspects of basic and clinical research. 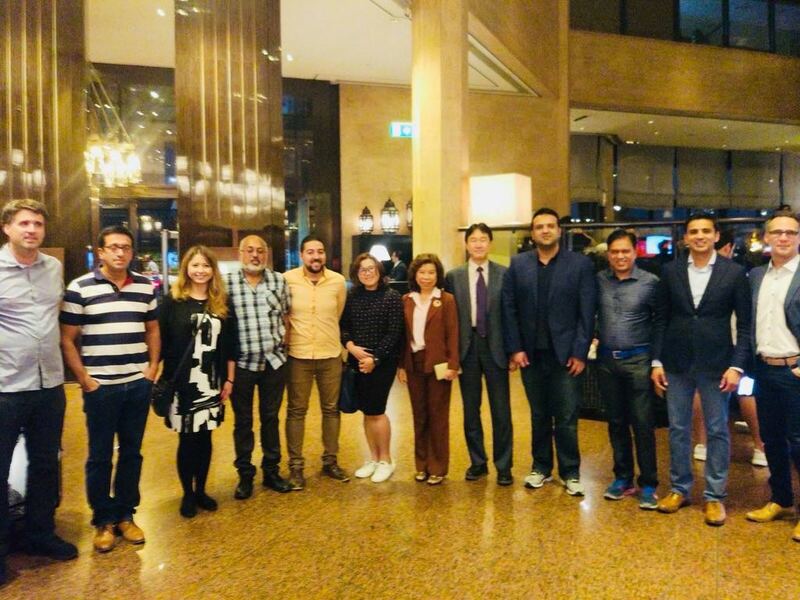 Additionally, it aims to Promote and reform the detection of variations in the vascular anatomy of the central nervous system and recognize the importance of embryology in the maturation of the vascular system and the potential for clinical expression of mal-development of the vascular system. Promote and reform the detection and management of patients presenting with acute ischemic stroke. Enhance risk management strategies based on the most recent developments in imaging of acute ischemia and the development of endovascular techniques. Promote and reform the detection and management strategies of patients presenting with acute subarachnoid hemorrhage from ruptured intracranial aneurysm. Promote and reform the understanding of the natural history and treatment rational of patients with incidentally discovered unruptured intracranial aneurysms. Promote and reform the detection of vascular neoplasms affecting the head and neck region, the brain and spine and spinal cord and indicate the importance of endovascular management of such conditions. Promote and reform the detecting and management strategies of neonates, infants, children and adult patients presenting with intracranial arteriovenous malformations. Promote and reform the understanding of their risk management by detailing the recent natural history data and outlining the treatment related risks from surgery, radiosurgery and endovascular management. Dear Colleague, You will find here enclosed the announcement of the International Diploma in Neurovascular disorders. We felt that this diploma could be useful in the future prior to technical training specially in our MENA-region where general standard of training and practice are so variants as regards the way, opportunity and efficacy . A final examination will be organized at the end of the last session. For those who do not wish to take the diploma (the final examination), the courses are opened as Refresher Courses as well. In such case they will be given a certificate of attendance for each seminar. Each 6 monthly course, will cover two specific topics or seminars that can also be attended separately. Each seminar as been awarded 17 hours CME category I by the Royal College of Radiologists (UK). These credit hours are approved for each speciality of the participants. The three seminars being already approved, for a total of 105 hours category I CME credits. I hope you will find this initiative beneficial and useful.